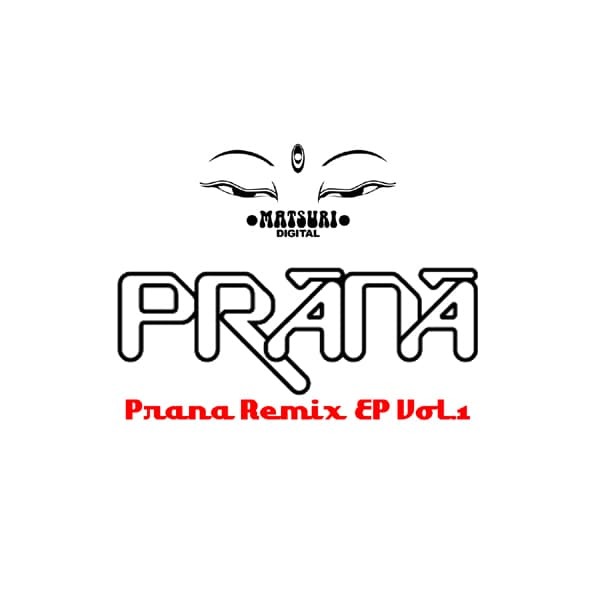 Goa trance unit ”PRANA” were splendid bands predominant in a generation in 90s..Revived as a 2013 version REMIX EP by MATSURI DIGITAL at last! Original member of Prana, Andy Guthrie remixed BOUNDLESS for the Hasamba festival in Israel.2nd track by Israeli trance leading figure “ASTRAL PROJECTION” remixed “MUGEN”, 3rd track “Geomatik” remixed by Damir Ludvig. Prānā was a London based project founded in 1994 by Tsuyoshi Suzuki and Nick Taylor. They also used Taiyo alias at the same time and released their first album on Step 2 House Records under this name in 1994. This album was followed by several successful EPs released on Inter 1 Records and Tsuyoshi’s own Matsuri Productions. Their second album Cyclone (and the first album released under Prānā’s name) was released in 1996. It was actually a compilation of their best tracks produced between 1994 and 1996 where most of them were previously released. Their latest album Geomantik was released in 1997 and included 4 new tracks produced by Tsuyoshi Suzuki and Andy Guthrie, and 5 remixes by other artists and groups including well known Total Eclipse and Green Nuns Of The Revolution. Prana is now re-unit as premium live show in New year eve 2013 in Tokyo..!